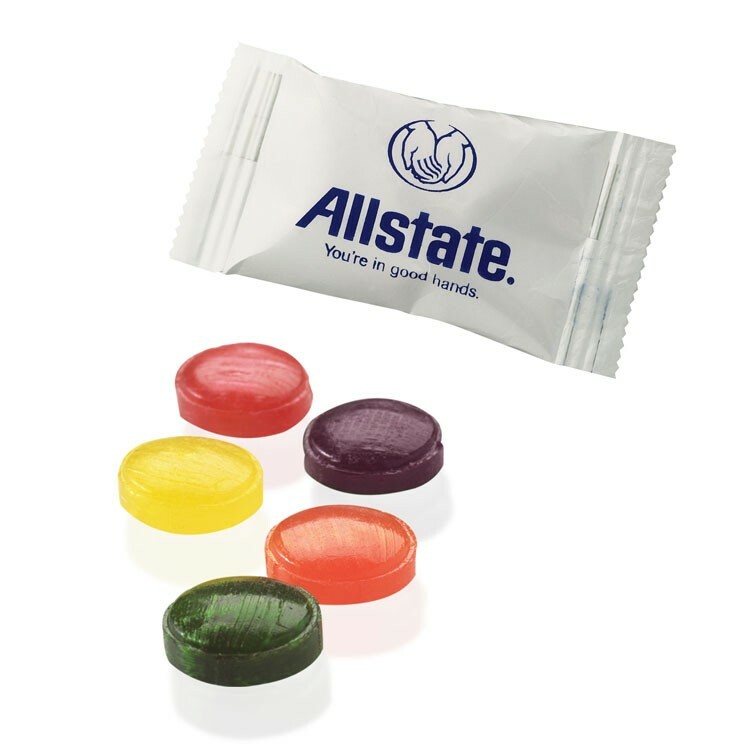 What''s in a name1/3 One taste and you''ll agree that Individually-wrapped Flavor•Burst® Candies hold true to theirs. Our Crystal Fruit Assortment includes: Sour Cherry, Grape, Lemon, Orange and Sour Green Apple. Individual flavors are also available. Must order in quantities of 1000. Our Price Includes: a one-color imprint on a white wrapper. Multiple imprint colors available up to 4 spot colors. (Minimum 10 cases). Case count 1,000.